Jonathan is one of the editorial team’s favorites. He sailed round the world on his parents’ catamaran (from the age of 8 to 18) and it was during these early voyages that he discovered photography. But before he leaves, we asked him to make THE selection of his most beautiful anchorages. Those that he had preferred during his round the world trip, which lasted 10 years. Here is his selection. It is inevitably arbitrary, but it has a certain merit: that of making us want to embark in our turn, and set off in search of the most beautiful anchorages around the world. The best way of comparing the dream and the reality! This is where everything begins, where humans have no hold over nature. 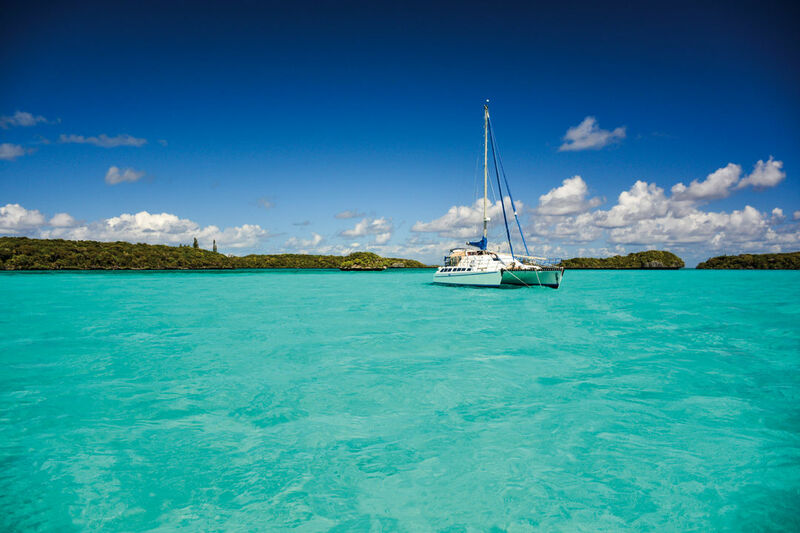 You will be anchoring in one of the most wonderful places in the world, where only twenty or so sailing boats pass each year, completely self-sufficient. Just you, some sand, the coconut trees and out-of-the-ordinary flora and fauna. The Boddam Island anchorage is strewn with reefs, you have to zig-zag between them to enter this Eden. Be careful however to check your anchor well, as the seabed is a mixture of coarse sand and dead coral. Don’t hesitate to use two anchors; there are not too many problems as long as the wind doesn’t change direction. Islands among islands…hard to choose a spot to drop anchor, as the choice is huge. So you might as well try them all! To be truthful, almost all the anchorages in the San Blas are rather nice! But Coco Bandero stands out from the rest: small islands with a few coconut trees which seem to fight a duel, and indefinable reefs. Here there are really no specific anchorages, you are free to choose the spot which you like the most. The whole archipelago is protected from the swell, but not from the wind. This makes it a fabulous cruising area. 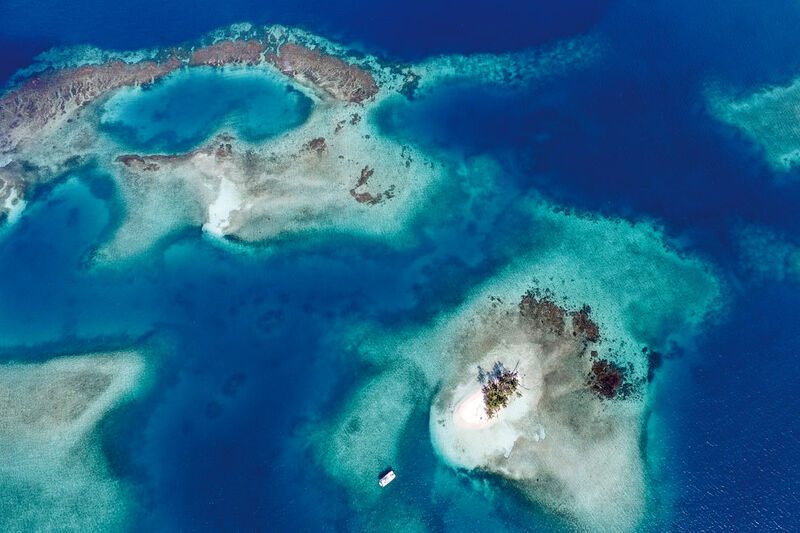 It’s rare that an anchorage in the Tuamotus is a bad one. Unless you anchor in a pass with three knots of current, I can’t think of one. 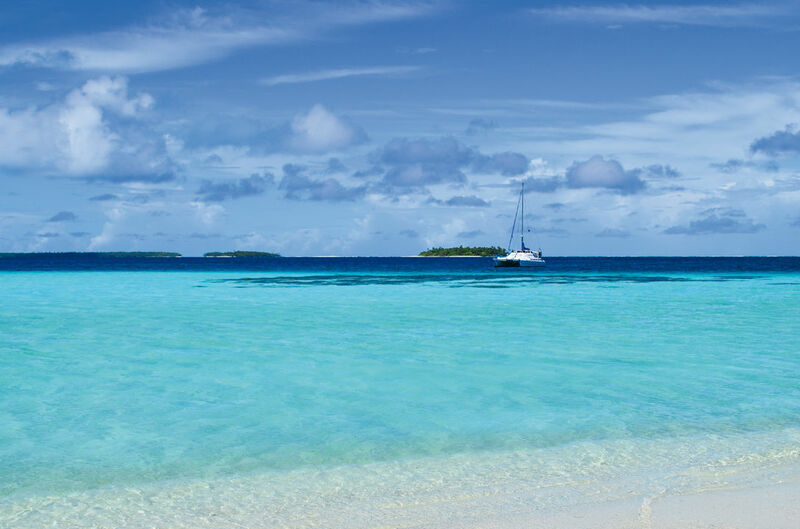 Apataki atoll is not to be missed, because of its beauty and translucent water. Here you will also find the most incredible place in the world to scrub off your boat. What could be better than putting your boat directly on the beach, in a heavenly context! 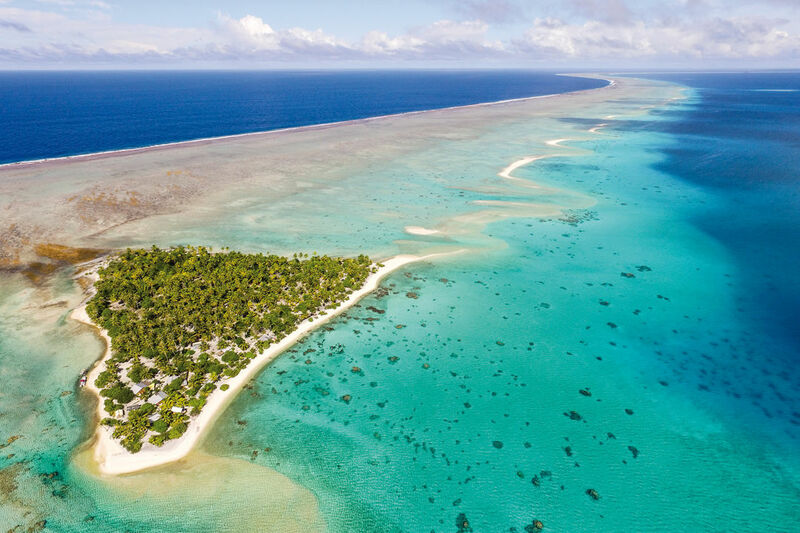 The anchorage in question is at Totoro, in the south-east of the atoll, where you will be best protected from the trade winds. Relaxation, fishing, walks, are the main activities – what more could you ask for? The ‘last’ atoll in the Society Islands. Among the lobsters and coconut crabs, you will get back to basics in this wonderful archipelago, if you are not there already. The few inhabitants of Maupihaa welcome you with open arms in a heavenly atmosphere, where fishing, fruit picking, laziness and copra are the main sources of preoccupation. Copra here is crucial, it’s the sole source of income for the twenty or so resident Polynesians, purchased once every three months by the supply ship. Above all, don’t hesitate to stay for several weeks in this little anchorage full of pleasure, which satisfies our thirst for discovery. The Ile des Pins is a not-to-be-missed stop in New Caledonia, and more specifically Gadji Bay. 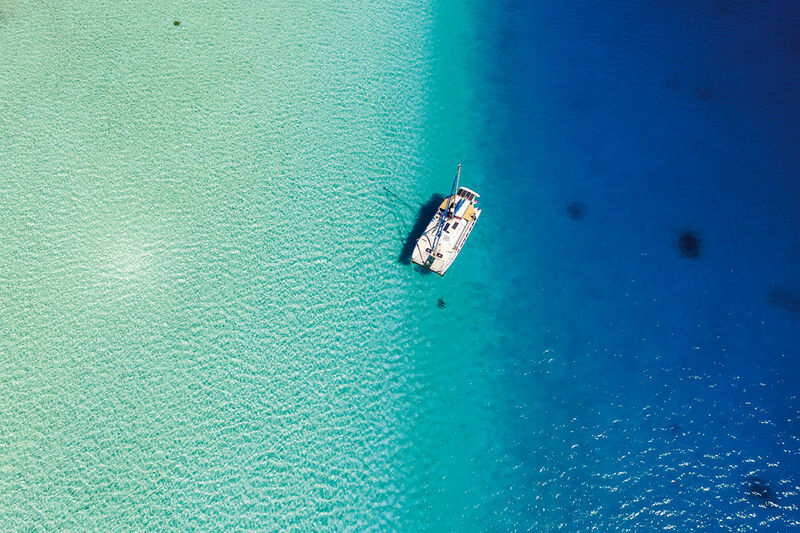 You will drop anchor in two meters of water, where dozens of rays, turtles and sharks criss-cross the seabed, surrounded by pines and the fantastic ‘mushrooms’, eroded by the weather.